In the bay of Cavtat, a small holiday resort town just south of Dubrovnik, the tourist season continues to thrive into the late summer. Teenagers bob up and down on lilos while retired couples sip cocktails, gazing towards the row of impeccably maintained superyachts, pondering what might have been. Along the promenade, a set of recently built pseudo-stone buildings surround the original historic centre, while a reinforced concrete frame reveals that familiar European condition: an ambitious project abandoned in the years post-2008. Further back in the hillside parts of a beige, ageing hotel are just visible above a line of cypress trees among a densely populated pine forest. In the haze of a sleepy summer's evening, it is easy to reach the conclusion that Croatia’s welcoming of tourists is something of a recent occurrence, in order to align with its EU neighbours. However this would overlook the fact that tourism and its associated economic benefits in Croatia today are heavily indebted to the hugely ambitious infrastructural plan initiated by the Socialist Federal Republic of Yugoslavia (SFRY) under President Tito. This laid the foundations for an internationally focused programme of tourism which brought about wide-reaching change to the Adriatic coastline. The story of Croatia’s tourism programme is best told within the context of its political past, especially given the lack of historical documentation of Yugoslavia and Eastern Europe more generally in the West. Tito’s Yugoslavia was quick to distance itself from Stalin’s USSR in the immediate postwar years and began a so-called “Third Way” of economic and international policy. While the message of land being owned by all was a crucial socialist soundbite, an important nuance was the self-management of workers which became extended to travel companies, tour operators, construction firms and the architects working for them. This form of governance paved the way for a collection of strong local authorities who shared the national incentive to embrace a new period of architecture, culture and ideas. 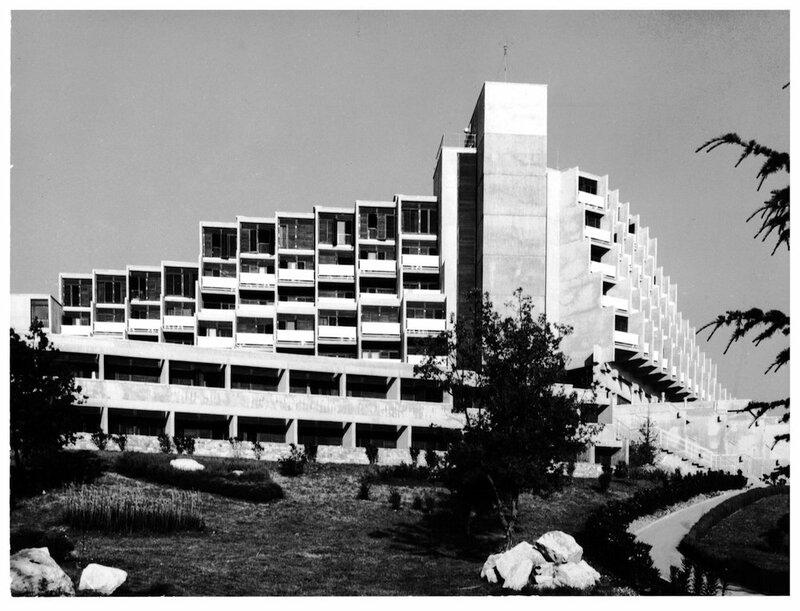 Architecture played its part in a wider cultural shift from independent states each with their own complex history to the federal state which Tito sought to create. 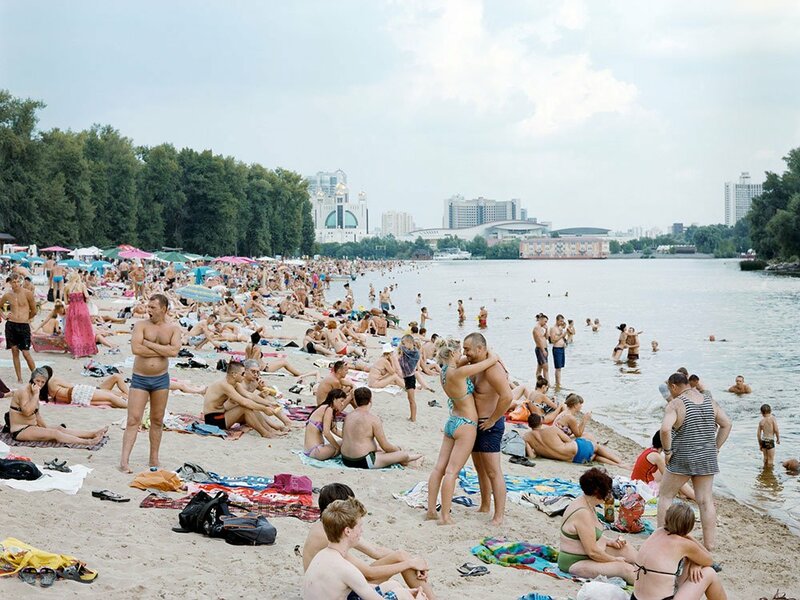 Tourism helped demystify Yugoslavia in the West, where it had been seen as ambiguously peering out from behind the Iron Curtain. The economic justification for embarking on such a progressive tourist programme was twofold; to accommodate the domestic policy of a state-sponsored leisure programme for native workers and to develop an internationally marketable product which could satisfy the tastes and needs of the Western middle classes. This created an interesting array of typological challenges for hotels and leisure facilities and informed a flexible approach to architecture. The motorisation of travel, reduction in the working week and the realisation of the benefits of rest and holidays by capitalist employers coalesced to initiate the growth of tourism programmes across Europe in general. By appealing to an international market, Tito sought to demonstrate the clear internationalist agenda which Yugoslavia pursued and the cultural successes which socialism had brought to fruition. The appearance of a forward-thinking and expansionist tourist industry sought to act as a measure of economic and cultural success in Tito’s Yugoslavia and also allowed for a more collective attitude across its republics, each with their own particularities and customs. The result is an amalgamation of architectural types, ranging from self-sufficient holiday parks, to vikenda (holiday homes) to towering megastructures. In contrast to the less regulated examples in Europe, such as the modern-day Costa del Sol, Tito’s Yugoslavia managed to place these interventions, clearly conceived in the Modernist era, within an understanding of the importance of restraint when dealing with natural resources and local infrastructure. 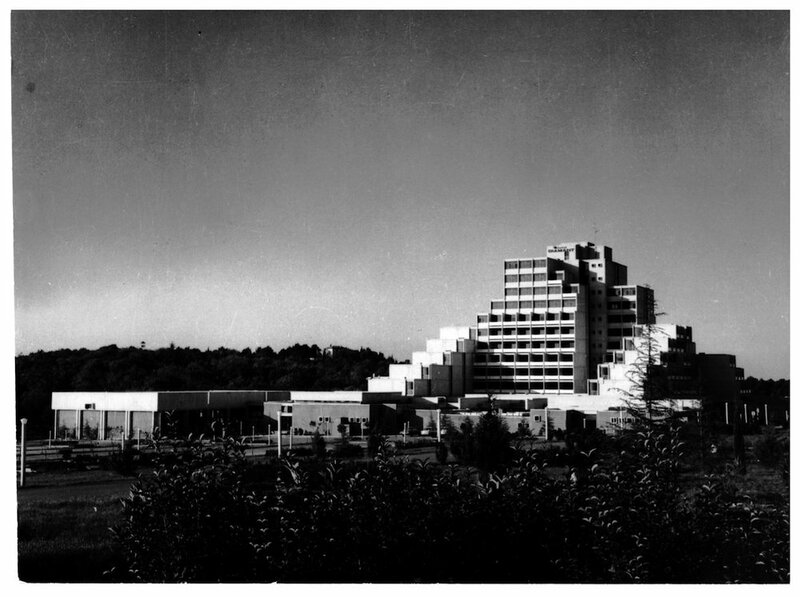 A paradoxical relationship was thus set up whereby the manifestations of new architectural thinking where dependent on the existence of a valued historic and environmental fabric. Typological variations are dependent on a coherent response to site in a localised and strategic process of design. 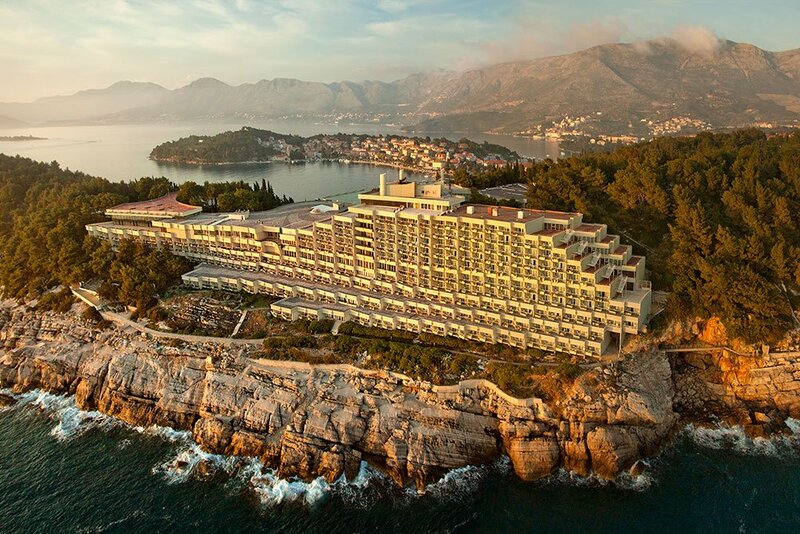 Returning to Cavtat, the Hotel Croatia, the work of architect Slobodan Milicevic in 1973, is one such example of a cellular megastructure built into the steep Adriatic coast. 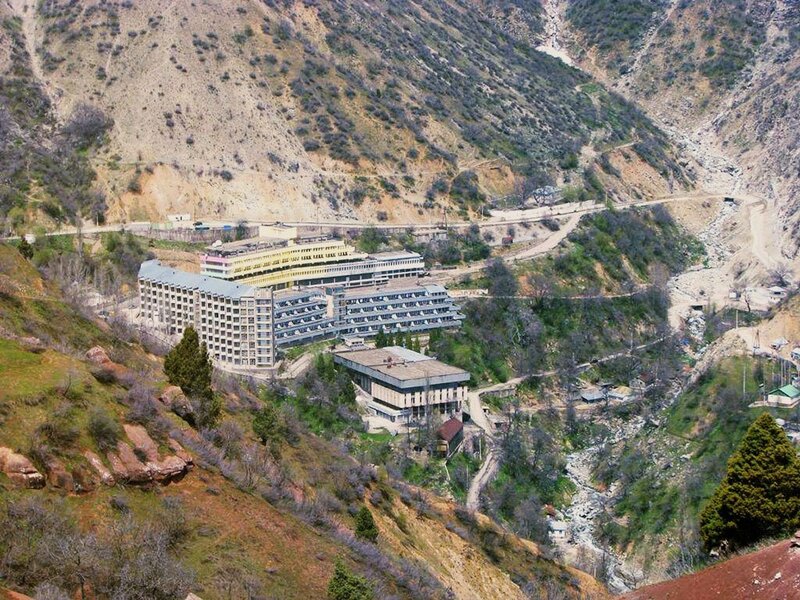 The leisure facilities are located on the upper levels, typical of this hotel type where accessible green space was hard to come by, while a series of fin-like terraces including the bar and restaurant face the town. The most ambitious part of the development is the repetitive ocean-liner like facade which is only visible either by boat or by air. Running parallel with the craggy cliff face, a vast wall of stacked rooms face south as part of the requirement for sea-view accommodation. Planning regulations were clearly set out on parameters such as distance from the coastline, distance from a nearby main road and were planned according to the economic goals of local and national government. By effectively side-stepping the conventional hurdles of land value and private interests, a strategic approach was allowed to take shape in a remarkably short space of time. Today, the Hotel Croatia gears up for its second refurbishment, building on the thoughtful, experimental nature of the original long-term tourist programme. All illustrations are from Holiday after the Fall – Seaside Architecture and Urbanism in Bulgaria and Croatia, edited by Elke Beyer, Anke Hagemann and Michael Zinganel (Jovis, 2013). For more about the book, click here. 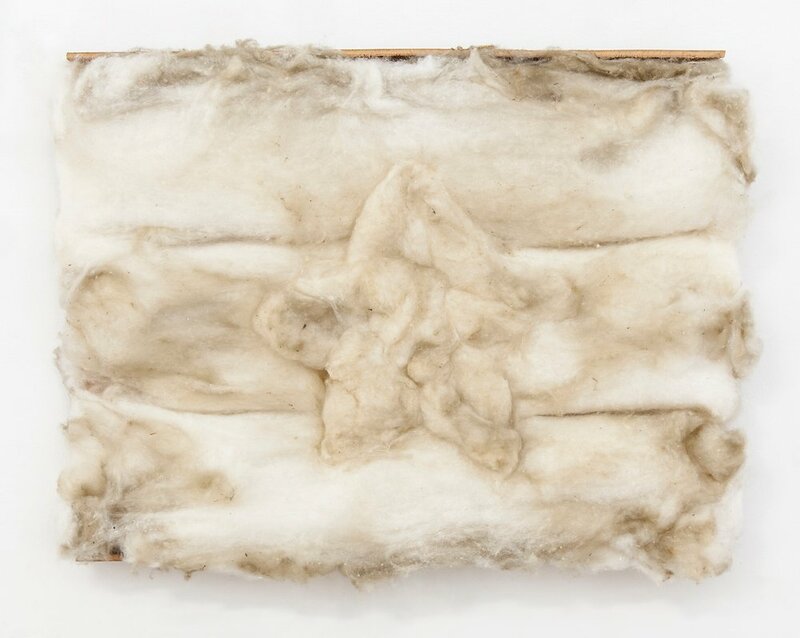 For more about the exhibition Holidays after the Fall, click here.